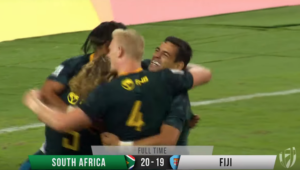 Canada frustrated the Blitzboks early on by starving them of possession, but a mistake from the Maple Leaves’ best player, Nathan Hirayama, gave South Africa the opening they needed to seize control of the game. 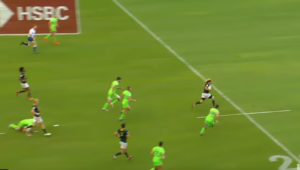 With his team attacking close to the 22, Hirayama flung a horrible pass that Justin Geduld read beautifully to pull off an intercept and score. 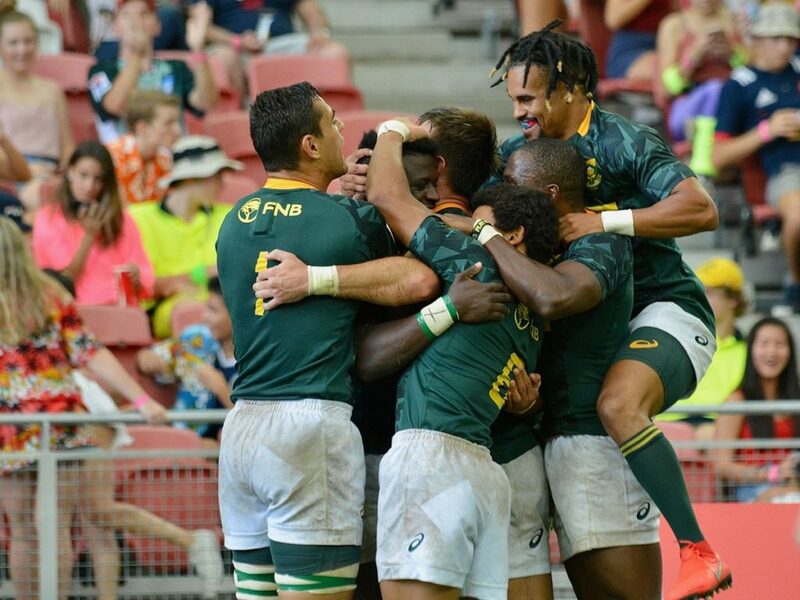 From the resultant kick-off, Werner Kok was at it again, forcing a turnover penalty. Unfortunately, captain Siviwe Soyizwapi couldn’t hold on to the ball. 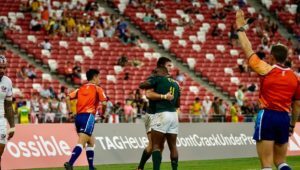 South Africa then finished on a high as Kurt-Lee Arendse and Sakoyisa Makata came off the bench to score. 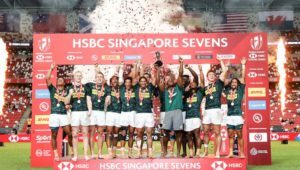 Arendse bagged a quick-fire brace, while Makata’s sped away for his first-ever Blitzboks try, which drew wild celebrations from the team.